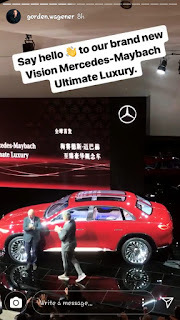 Mercedes-Maybach on Tuesday revealed its concept for the 2018 Beijing auto show, and as we learned via a leak last week the concept blends elements of a sedan with an SUV. You're probably thinking the premise was a donk for the ultra-rich, but Maybach says its concept, whose full title is Vision Mercedes-Maybach Ultimate Luxury, sets out to combine the comfort and elegance of a high-end sedan with the tall ride height and command seating position of an SUV. As the head of design for all Daimler brands Gorden Wagener explains, the concept “combines the DNA of an SUV with that of a sedan to produce an ultramodern SUV of three-box design." We're sure it's not to everyone's taste but there could be a niche for such a body style in parts of sedan-loving China where poor roads demand some decent ground clearance. The idea certainly isn't new. 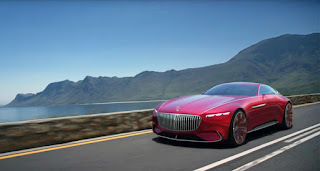 Dutch sports car marque Spyker rolled out an eerily similar concept as far back as 2006, and Volvo has actually put a sedan on stilts into production in the form of the S60 Cross Country. Chinese market demands have also influenced the interior, which is lined in leather and accented with polished metal and blue ambient lighting. There's also "Magic Wood" ebony, which is traditional in Chinese furniture design, and just four seats, with the center console stretching the length of the cabin. This unit skips the traditional champagne cooler and flutes in favor of a Chinese tea set. Maybach has developed a matching furniture collection that reflects the design idiom, form and material mix of the concept, in case you were keen on a similar aesthetic for your home or office. As the Vision Mercedes-Maybach Ultimate Luxury is intended primarily for chauffeur-driven use, the cockpit has been reduced to the essentials. A pair of 12.3-inch screens provide all the relevant information and are flanked by air vents that feature the same pinstripe suit-inspired vertical strips found on the front grille. 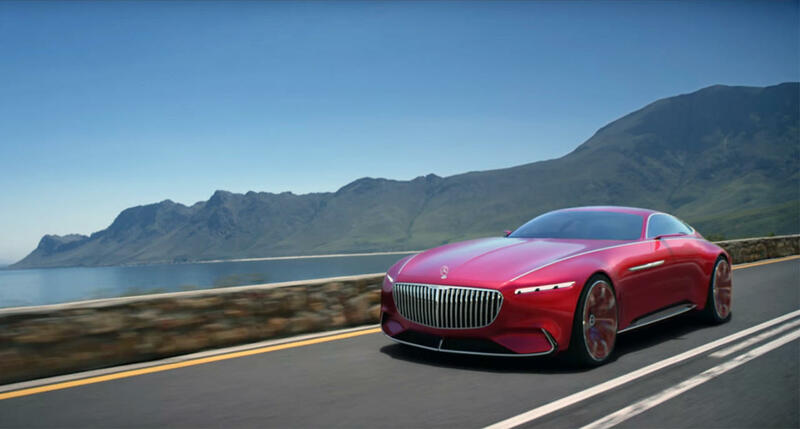 While Maybach is unlikely to put the concept into production, we should see some of its design elements and technology in production in the not too distant future. In fact the general proportions from the front to about the midway point matches up with the next Mercedes GLS, which is due on sale next year and is expected to spawn a Maybach variant.